It can be a nerve-wracking and awkward conversation but asking for a pay rise is a necessity for women in the workplace. If there’s one thing that Australian women can improve on, it’s negotiating their salary. According to the Workplace Gender Equality Agency (WGEA), Australian women earn 15.3 per cent less than men – that’s a difference of $253.70 per week, on average. And this gender pay gap has remained largely unchanged for 20 years. But there are things women can do to improve their chances of securing that pay rise they seek – highlighting unique skills and contributions, researching what they’re worth and being bold in their career can help get them there. 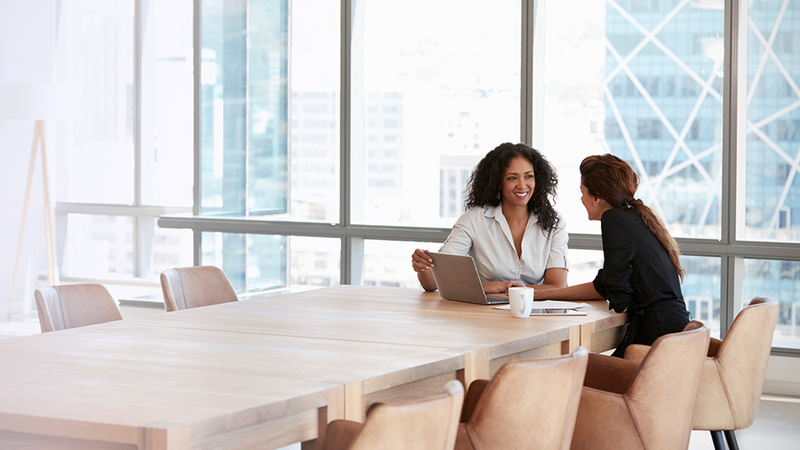 Career coach Denise Mooney and founder of Heart Recruitment Cynthia Harris share their tips on how women can secure the pay rise they deserve. When it comes to negotiating a pay rise, preparation is key. Mooney advises laying the groundwork beforehand, setting clear goals in your performance review and agreeing on benchmarks with your manager. “Make sure your manager is aware of what you want and that you have a plan for your career including the type of salary you’re expecting in the next 12 months,” she said. It also helps to identify which goals will contribute to the company’s objectives. 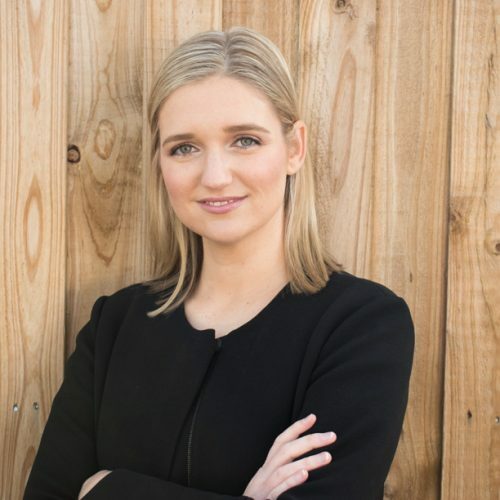 “If your goals are in alignment with your organisation’s, you have evidence of your achievements and you have the support of your manager, it will be much easier to make your case,” Mooney said. Harris recommends using your performance, such as what you’ve achieved or delivered within a certain timeframe, to prove your worth to your employer. “If you can demonstrate a link between what you do and the whole organisation, your negotiation will come from a position of strength,” she said. Be clear when demonstrating your value, and always show how your performance has contributed to or exceeded business goals, Harris suggests. Whether you’re a graduate who achieved top marks or someone with substantial experience looking to further their career, you need to understand what you are worth. Research job boards and industry-based salary surveys to get an insight into what people are getting paid for a similar role or level of experience to you. Harris said negotiating your salary also comes down to supply and demand. If you have a niche set of skills or your role is in high demand, you’ll have more negotiating power. Mooney said the main problem she encounters is that many women don’t ask for a pay increase in the first place. Likewise, Harris reminds us of the internal Hewlett Packard study quoted in Sheryl Sandberg’s Lean In that showed men apply for a job when they meet only 60 per cent of the qualifications, while women apply only if they meet 100 per cent of them. “You have to be bold and you have to back yourself. I’m big on courage – put your hand up for that stretch assignment, claim your achievements and document them on your CV,” Harris said. Mooney adds that women have a tendency not to take credit for accomplishments but give that credit to others, particularly their team. “We’re such great advocates for others in the workplace but we need to become just as effective at advocating for ourselves,” she said. Mooney said many organisations have introduced targets for pay equity so check your company’s stance on this and use this in your negotiations. If your company doesn’t have a pay equity policy, you might suggest they develop one if they are to stay competitive. For women who are not natural negotiators, Mooney suggests starting small. For example, be mindful of your language and behaviour around managers and co-workers. Are you apologising unnecessarily or saying things like “this will just take a minute”? Do you find yourself asking questions instead of making statements for fear of coming across as too demanding? “Start paying attention to your language and make small adjustments to the way you communicate. Practice being more assertive without losing your warmth or natural personality. A lot of women, particularly younger managers, say that when they try to be more assertive, the feedback they get is that they’re too aggressive. I think that can happen when you try and change but as your confidence grows it will happen less often,” Mooney said. Harris said the most powerful thing women can do is be proactive in managing their careers. She said every employee should have the opportunity to discuss and review their professional performance at least once a year. “I encourage people to take the initiative to book in a meeting with their manager to review performance if there isn’t a formal process in place. Seek out the opportunity to have that conversation,” she said. If your request for a pay rise is rejected more than once, Harris suggests having the conversation with someone else in the organisation that can help you – that may be the HR department or a more senior manager than who you report to each day. Mooney believes your relationship with your manager is critical when it comes to negotiating a pay rise. Do you have any tips for successfully negotiating a pay rise? Share them in the comments section below. Sharon Green is the founding editor of SHE DEFINED. An experienced journalist and editor, Sharon has worked in mainstream media in Australia and the United Kingdom. Forever in search of a magazine that confronted the real issues faced by modern women, Sharon decided to create her own. The ability to work and travel simultaneously is a goal for many women with a passion for exploring the world. Four women share how it's done. When it comes to building a functional and fashionable work wardrobe, there are certain pieces that never go out of style. You can travel the world and still make a living. Sounds like the dream, right? For me, this is reality. 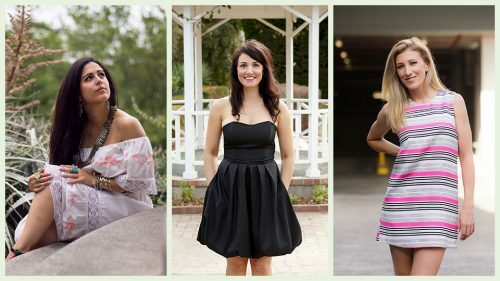 These three women have launched businesses on the side while juggling full time jobs, and they’re reaping the rewards of creative fulfilment.